Sydney Road Gallery captures moments of unexpected delight at new group exhibition ‘Tickled Pink’. 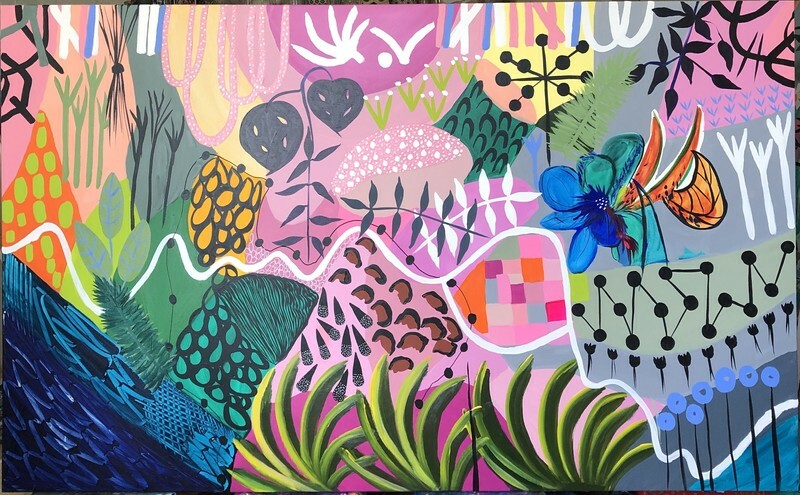 Sydney Road Gallery will present a group show titled ‘Tickled Pink’, where artists have come together to uncover the unexpected delight that can be found in life’s everyday wonders. The ‘Tickled Pink’ exhibition captures moments of pure joy, celebrating the warmth and joviality of human emotion through a cheerful and explorative use of unique textures and shapes. The Sydney Road Gallery artists reveal how little things often taken for granted have the power to bring a smile and uplift spirits through a whimsical curation of artworks. Visiting artist, Joan Blond, an abstract expressionist and contemporary artist, plays with generous blocks of colour and energetic line work in a vibrant expression of joyful experiences. Sculptural fibre artist, Catriona Pollard, manipulates the natural form of foraged and organic materials, creating a depth that explores the intricacy of detail that can be found in simple, fleeting moments that pass us by. Creating unique sculptural forms, ceramicist Tracy Dickason contrasts intricate mark making against smooth surfaces and pink hued embellishments to create evoking textures. A not to be missed event, the exhibition showcases a stunning collection of paintings, sculptures and ceramics.